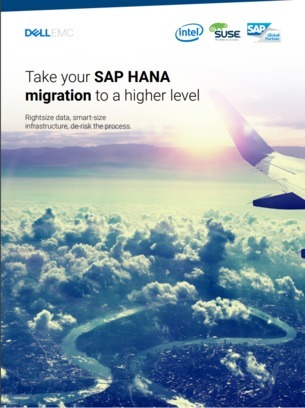 Faced with the need to migrate to SAP HANA, organizations are having to modernize their infrastructure and workout which deployment model is best suited to their applications. With Dell EMC Ready Solutions for SAP HANA, businesses can streamline their SAP environment, cut BI costs by 45%, and reduce non-standard KPIs and metrics by 50%. Download this e-book to learn more about Dell EMC Ready Solutions for SAP HANA, powered by Intel® Technology.